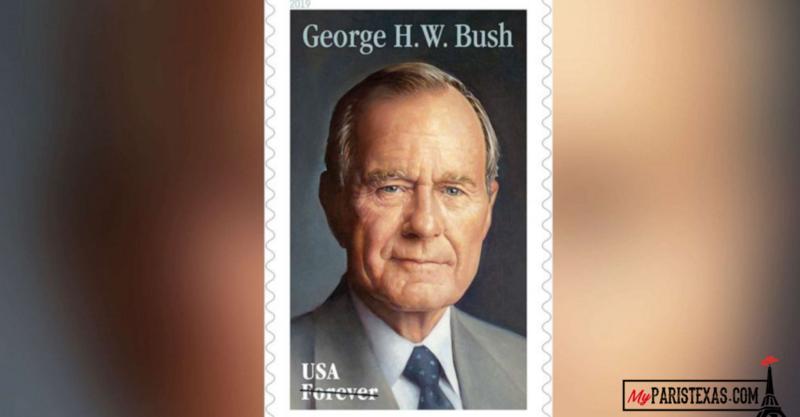 The United States Postal Service (USPS) announced that it is issuing a new commemorative stamp honoring the late President George H. W. Bush. The stamp features a portrait of Bush painted by the artist Michael J. Deas. and is based on a 1997 photograph taken by Timothy Greenfield-Sanders. Bush died in Houston on Nov. 30 at the age of 94. The nation’s 41st president served from 1989 to 1993 and was a World War II hero. He also served as Texas congressman, CIA director, and Ronald Reagan’s vice president.